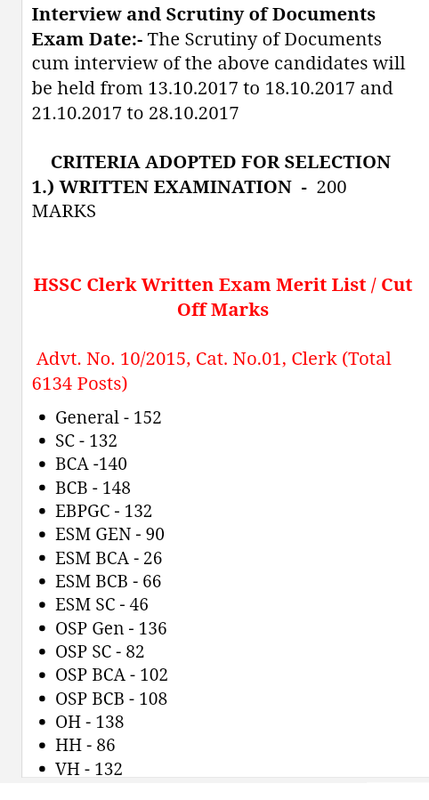 Download HSSC Clerks Interview Admit Card 2017.HSSC Clerk (Against Advt. No. 10/2015, Cat No. 01) Written Result , Cut Off Marks/Merit List, Scrutiny of Documents and Interview 2017 Details.